The reality of life with diabetes is that we simply are not meant to go at this alone. 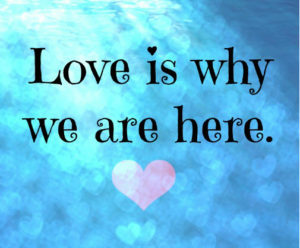 Choosing to seek out the support we need is up to us – the same goes for me! Without the incredible friendships and bonds I’ve formed with other members of the diabetes peer support communities over the years (that I consciously and intentionally formed…they didn’t just fall into my lap! ), I wouldn’t be able to reach as many amazing humans who are looking for guidance towards learning how to tune into their intuitive voice and inner health & diabetes expert that we all have. Once we choose to practice self-love, we begin to feel so much more joy, gratitude, and peace each and every day – diabetes included. It’s by honoring who you are and what you value – mind, body, & spirit – actually taking the time to figure that out and getting rid of the notion that progress is linear, that we learn how to give diabetes a meaning that makes us stronger. These ambassadors know that we must fail to succeed – over and over again – and we must learn to embrace and use that failure to our advantage to propel us forward versus letting it derail us. What exactly is an ambassador? According to the dictionary, an ambassador is “a person who acts as a representative or promoter of a specified activity.” In this case for Team Diabetes Dominator, the activity is being mindful (present, non-judgmental, grateful, proactive versus reactive) as often as possible, to act from a place of love, kindness, & empathy, especially, but not limited to, when it comes to oneself and taking care of ones mind, body, & spirit – and that includes diabetes. The amazing human beings on this page inspire me to continue leading by example. 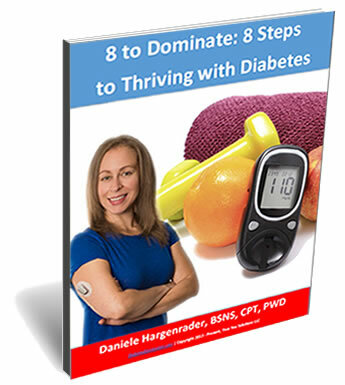 All of them, after years of struggling, fully embody the Diabetes Dominator mindset that love, forgiveness, and perseverance (self-love and self-care first and foremost) heal all things if we allow ourselves to explore a path of healing – regardless of chronic disease – and that diabetes means to us what we allow it to mean to us. We know that diabetes has contributed greatly to our ability to be in touch with our inner wisdom and knowing who we are and how we want to show up in our lives, and that consciously and intentionally acting from those values is the most fulfilling and empowering gift life has to offer, and that we have to offer back to life. If you would like to join the Ambassadors of Team Diabetes Dominator, please send an email to [email protected] let us know why you’d be a great fit! Phyllis was diagnosed with Type 1 diabetes at the age of 2. Living with diabetes is not easy, yet she tries hard not to let it stop from accomplishing her goals. 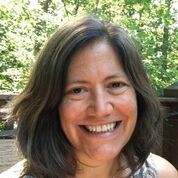 Phyllis holds a bachelor’s degree in elementary education and masters in instructional technology and media She’s currently a Program Manager for User-Centered Research for consumer electronics company in the greater Boston area. Her current advocacy work is based around support and outreach for adults with type 1 diabetes. Friends call her the “diabetes guru” as she has experienced it all – weight gain and loss, exercise, international travel, working the health-care system to get what she needs. She has also learned through Daniele that diabetes is more than insulin doses and carb counting, that making mindful choices about food, and life, makes a difference. Boston-native Sarah was diagnosed with type 1 diabetes in 2005 during her freshman year of high school. After struggling with issues like burn out and diabulimia for many years, she finally sought help in her early 20’s utilizing the power of peer support, and was soon connected to the wonderful diabetes community, both online and in real life. 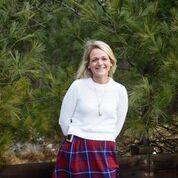 In 2013, she started volunteering with the DiabetesSisters as a PODS leader in Massachusetts, and presently runs two peer support groups in the Boston area for women with all types of diabetes. 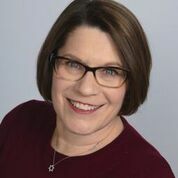 Sarah has a passion for connecting with individuals affected by diabetes and eating disorders, and is a member of the Diabulimia Helpline Board of Directors. She is a certified holistic health coach, reiki practitioner, and is on her way to completing her 200-hour yoga teacher training. Sarah is a recent graduate of the Institute for Integrative Nutrition. Her latest venture in the diabetes realm is becoming a chapter leader for Type One Run, and founding the Boston-based group. She shares her thoughts and adventures through her blog, What Sarah Said, and believes that each of us should seek a way to be a light in this world we live in. Why did I leave a financially stable, 14-year career in environmental consulting to pursue a career in health coaching? I have lived with type 1 diabetes for 28 years and counting now. For most of that time, I have dealt with my diabetes on my own, always striving to bring down my A1c and day-to-day blood sugars, to eat right, to exercise more, etc. Over the years, I have always had a strong interest in nutrition, being physically active, and general health and wellness, possibly thanks to my diabetes. For quite some time, I have also wanted to help others, especially other diabetics, to live their lives in a positive way, embracing their health goals and facing challenges head on. After receiving my certification from the Institute for Integrative Nutrition, I am truly ready to share my long-term love of health and wellness, focus on improving my own health as a type 1 diabetic, and inspire others to do the same. My life with diabetes shouldn’t be a burden but an inspiration and motivation to be a healthier human being! My name is Sarah and I’m a NOLA native currently living in Minneapolis, MN. It has always been my aspiration to have a career where I can make a difference. In 2002 I was diagnosed with Type I Diabetes, and realized that living with diabetes had not closed any doors on me; instead more were opened. I saw this as an opportunity to work for a cause as close to my heart as a cause could possibly be. After learning about the Dogs 4 Diabetics program, I felt this was my calling. I graduated from LSU A&M with a Bachelor of Science in Animal Science and Technology. I was then accepted to an internship at Palmetto Animal Assisted Life Services in Columbia, SC and then another internship with Eyes Ears Nose and Paws in Carrboro, NC. After that, I moved back to New Orleans to start an assistance dog program based on positive reinforcement/humane training since there wasn’t one already in existence. I also completed the Karen Pryor Academy professional training course and offer private lessons for pet dogs. 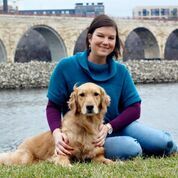 I realized that being a trainer at an organization that trained diabetic alert dogs was the best way I could make a difference in my community, so when the position became available and offered to me in Minneapolis, it was a no-brainer to move across the country for another adventure. My goal is to be blissfully dissatisfied, to always be proud of where I am and excited to become a better version while encouraging and guiding others to do the same!